Ron Reyes named Chula Vista's "Citizen of the Month"
Eastlake Starlings Director Ron Reyes was named the City of Chula Vista’s, “Citizen of the Month” for the month of May 2018. In a short ceremony at practice on April 22nd, Reyes was presented with a “Citizen of the Month” proclamation by Chula Vista City Councilman John McCann. “Coach Ron”, as he is affectionately known around the gym, was nominated by fellow Starlings coach, Brant Burington. Coach Ron was recognized for his community service work with the Eastlake Starlings, a non-profit volleyball club which he founded in 2005. Looking for a place for his teenage daughters to play and spread his passion for the sport of volleyball, Reyes took it upon himself to begin his journey that has lasted 13 years. The club started out with three volleyball teams (two 16-year old teams and one 14-year old team), but since then has added teams for 12-year olds and 18-year olds. The volleyball club currently has grown to over 100 registered players that hail from various parts of Chula Vista and the South Bay. Starlings Volleyball Clubs USA was founded in 1996 by U.S. Olympic Team member Byron Shewman, who wanted to provide equal opportunity for girls from diverse socioeconomic environments to compete in the sport of volleyball. Shewman started with one inner-city volleyball club in San Diego, which has grown into the nation’s largest junior volleyball club with over 2,500 players participating in over 50 cities across the United States. Coach Ron has lived in the Eastlake area for 26 years with his wife Elsa and has two grown daughters, Brianne and Kelsey, both who played on Eastlake High School’s Varsity volleyball teams. When he’s not on the volleyball court teaching or coaching, Coach Ron works in the Information Technology Services Department at UC San Diego. 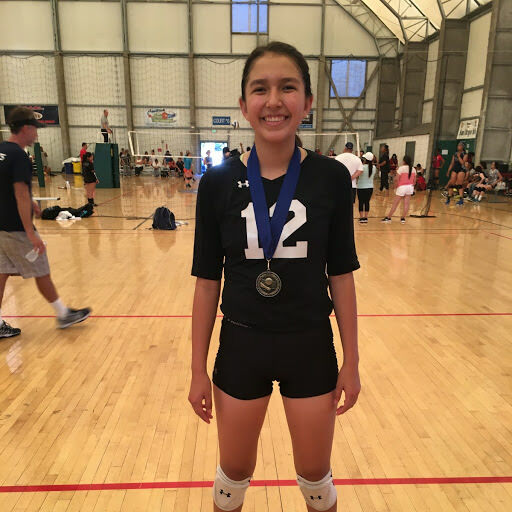 One of our stand out Starlings, Jayda Chee of Tuba City, has been selected to play for the Arizona High Performance Team in the High Performance Championships in Tulsa, Oklahoma July 22-28. The 100+ team event features tournaments for both boys and girls that include teams from USA Volleyball Region HP teams, international teams and teams from the USA Volleyball High Performance pipeline. Jayda, with 3 Starlings National Championships under her belt at just 16 years old, is working hard to prepare for the event, and we can't wait to hear all about it. With her tenacious competitive drive and talent, her future is definitely bright, both in the volleyball world and in her desired career as a nurse. We're so proud of you Jayda! The Starlings National Championship commences this Thursday, June 21st at San Diego City College's Harry West Gym, where we will celebrate our Starlings at our annual Opening Ceremonies event. After all of the teams make their procession, dancing into the gym and waving team banners, we will present our Literature, Art, and Starlings Spirit awards and hear from Keynote Speaker, former indoor volleyball player and Olympian, Alisha Glass. 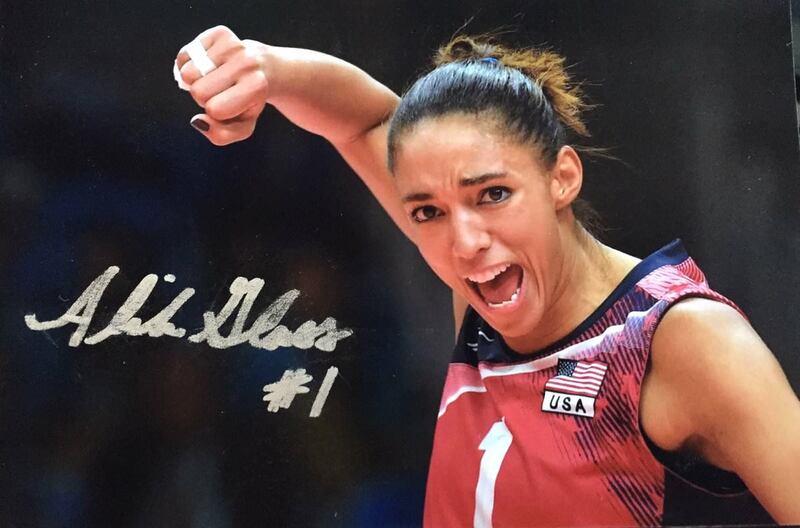 We are immensely honored to have Glass at our Opening Ceremonies this year, and are excited to hear about her personal journey, as well as her journey as setter for the US Women's National Team. While on the team, Glass racked up numerous accolades, including a gold medal in the 2014 World Championship, a bronze medal in the 2016 Olympic Games, and a bronze medal in the 2015 World Cup. Not to mention, she was named Best Setter in the 2014 World Championship and the Rio Olympics. All of this was only after she led Penn State to three consecutive NCAA Championships. Glass is undoubtedly an excellent role model for our passionate young Starlings girls, as she has demonstrated incomparable talent and determination. Her speech will be the perfect way to kick off another awesome Nationals tournament! ©2019 Starlings Volleyball, USA / SportsEngine. All Rights Reserved.